Do you cringe at the thought of visiting a car dealership to buy a car? Most dealerships now have an "Internet sales department" with its own sales manager, so you can research and negotiate buying a car from your sofa smarter and faster than ever before. "The balance of power has definitely tipped in the consumer's favor," says Joe Webb, founder of DealerKnows, an automotive Internet sales training firm. Consumers have easy access to new online tools that allow knowledge of the Manufacturer's Suggested Retail Price, or MSRP, invoice price, trade-in values, financing, incentives, inventory, expert ratings, user reviews and even recent transactions, says Alec Gutierrez, senior market analyst of automotive insights at Kelley Blue Book. Carroll Lachnit, features editor for Edmunds.com, agrees, adding, "The Internet department knows they are being shopped online by a very educated customer. You have much more control over the four most important aspects of the car deal this way: price, trade, financing and down payment." These experts give step-by-step instructions on how to buy a car online, completely bypassing the dealership sales floor -- minus only the initial test-drive and the final signing. Most people already use the Internet to determine what type of car they want and find out as much as possible about the make, model and options of the car. Gutierrez says new tools and searches for buying a car online take into account budget, lifestyle, fuel economy, size, space, seating and even the cost of ownership. You'll still have to visit the local dealer for a test-drive. Insider tip: Don't forget to read owner and expert reviews and ratings. Research options and add-ons the dealer may try to sell you. Always research the vehicle's local MSRP, or what the dealership wants you to pay for the car, and invoice price, or what the dealership paid the manufacturer for the car. 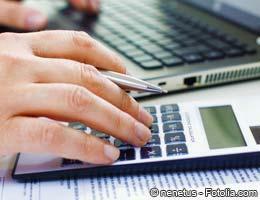 Research these variables online to compare offers from dealerships. New tools aggregate recent transactions to show the average price recently paid for the car. Are you worried about getting different results from different websites and tools? "Use these differences to develop a good working price range when dealing with the Internet sales managers, and you will be able to spot the best deals you are offered," Webb says. Insider tip: Always ask which fees and options are included in the car's price when buying a car. Make sure price quotes are not withholding fees such as destination charges, document fees, options, or add-ons for the make and model on the dealer's lot. Knowing the value of your trade and being open to other ways of liquidating your used car can provide more money toward the new car's purchase price. Most people search the Kelley Blue Book value for their used car, but Webb says the value most car dealers use is from the National Automobile Dealers Association, or NADA, so be sure you search both. In addition, there are currently three ways to liquidate your used car. 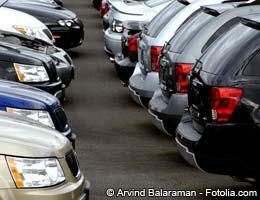 Trade in your used vehicle at the dealership from which you are buying a car. You also can compare offers you receive against a guaranteed value you can get for your trade at participating local dealers, using the Trade-in Marketplace tool on AutoTrader.com, a site for buying and selling new and used cars. Sell it yourself privately for cash. Search your make and model online for price and availability on private-party sale sites such as eBay and Craigslist. Sell to a used-car dealer such as CarMax. Ask for its guaranteed cash price, and compare it with what you've found from Kelley Blue Book and NADA. Insider tip: Don't just fall for the convenience factor and trade in your used car at the dealership, where you'll most likely get the lowest amount for it. Never take dealer financing offers at face value when buying a car. 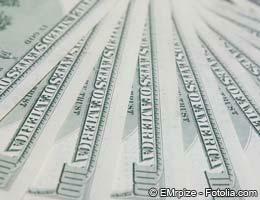 The advertising is meant to attract you, and many buyers may not be eligible. "Always shop the rate around to your own banks or credit unions, so you can operate like a cash buyer, skip the financing part with the dealer altogether and stay focused on the price of the car," Lachnit says. This way, when the car dealer gives you an offer for financing, you'll know whether you can do better. 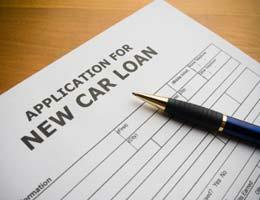 Check your local bank, credit union or Bankrate.com auto-loan comparison tools, and apply online for a preapproval. Insider tip: When it comes to financing, focus on the annual percentage rate, or APR, and not the monthly payment. Online research now lends insight to availability for the make and model car you want, and you will see how the law of supply and demand impacts your price. When there are fewer cars that you want available, there is less of a chance you'll get a great deal, Gutierrez says. So don't skip this step. Check the local dealer websites separately to compare. Insider tip: If you don't see a vehicle identification number, or VIN, next to each car in the listing on the dealership website, the vehicle is not really on the lot. Also, look for real pictures of the actual vehicle on the lot, not stock photos, Gutierrez says. 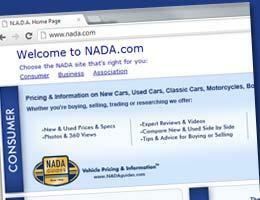 Once your online research is complete, contact the dealerships for an online price quote. Whether you fill out a website contact form or you email the Internet sales department or manager, you will be reaching someone who has the authority to quote you a price. Webb says most dealerships now have this designated department because Internet sales are becoming more and more commonplace. Insider tip: Be as specific as you can with make, model and options, and ask several dealerships for their best offer. Once you collect some responses, compare them with your researched price ranges and to each other to determine which is best. If none of the initial price quotes you receive fall within your range between the fair market value and invoice price, you can throw those two numbers back at the dealers and again ask for their best price, Gutierrez says. When evaluating any price quotes, be sure they are itemized in an email, and remember to ask whether any extra fees are withheld or included in price quotes. Items such as "customer service fees," options and add-ons, which are negotiable and can be removed, can tack on thousands to your overall price. If one dealer gives you a price you like, you can email the quote to another dealer to get competing bids, especially if you know exactly what each price quote includes. 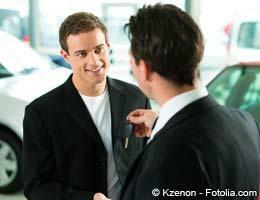 Insider tip: At this beginning stage, never quote your minimum monthly payment budget to a car salesperson. That allows him to pack whatever he can into that payment and still meet your budget. Do not mention your trade-in or any financing when buying a car. These variables give the salesman leverage to negotiate these variables for his own best interest. Instead, stay focused only on the actual price of the vehicle to bring it down. Once you've agreed on a price with a few dealerships, negotiate the trade-in and financing. Simply ask the dealer his or her best offer for your trade. You also can choose to mention AutoTrader.com's trade-in value at participating dealerships. Once you receive quotes for your trade, compare them with each other and choose to sell privately, accept a CarMax offer or accept the dealer's trade-in offer. Next, it's time to ask about rebates and financing incentives. If you have a voucher or preapproval from your lender, you can mention those because it's like being a cash buyer -- taking financing and down payment out of the dealer's profit equation. Ask if the dealer can offer you anything better. Insider tip: If you qualify for the zero percent financing, control the deal, and evaluate any other rebates or incentives, then you should accept the deal, says John Ulzheimer, president of consumer education at SmartCredit.com, a website on credit and ID theft. By now, you should be working with the dealership that has the car you are buying and has negotiated the best deal. At this final stage, you still have to visit the dealership to finalize the bill of sale, sign any required financing paperwork, and pick up your keys and vehicle. Insider tip: Lachnit says the finance and insurance managers may try to sell you options and add-ons, but you've done your thorough research. Be resolute in saying "no," and only add something to your car loan if there is no cheaper way to attain the service or option.